This book belongs with those about ill-fated but non-lethal space missions. The fatal shuttle Challenger and Columbia missions have books documenting the o-ring failure and the insulation damage. But these fatal missions cannot have astronauts recalling their actions and feelings. Expedition 6 to the International Space Station (ISS), like Apollo 13, had astronauts who survived a mishap and could recall their feelings as well as their actions. 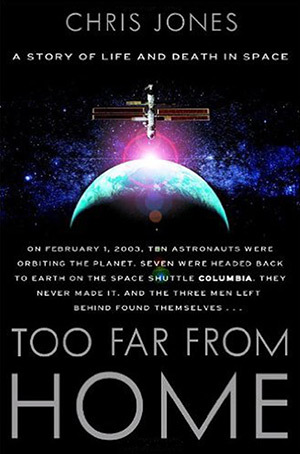 Too Far From Home is about two American astronauts, Ken Bowersox and Don Pettit, and one Russian cosmonaut, Nikolai Budarin, on their Expedition 6 mission to the ISS from November 22, 2002 to May 2, 2003. These astronauts were taken to the ISS on the shuttle Endeavour. While they were on board the ISS, the Columbia shuttle disintegrated. The loss of Columbia grounded the shuttle fleet, essentially stranding the ISS crew. 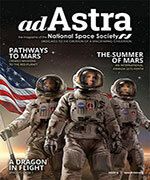 NASA could not bring the ISS astronauts back to Earth on a shuttle flight in March as planned. When it became obvious that there would be no American shuttle available, NASA enlisted the Russians to launch a Soyuz to the ISS. The Soyuz arrived in May, carrying a crew of two to the ISS rather than the usual three. The Soyuz capsule was able to return three from the space station to Earth. The first half of this book had confusing interjections of the personal histories of the Expedition 6 crew, their families, their education and training, as well as their prior flights and the problems those flights had, all of which interrupted the flow of the adventure of Expedition 6. It almost seemed as if author Chris Jones were trying to produce a litany of spacecraft problems. This book documents one of the perilous adventures of flying in space. 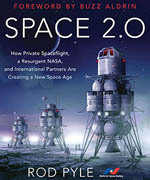 It is a must-read if you plan to be a space tourist. It is also a fairly good adventure story, complete with a cliff hanger in the voyage of the three ISS astronauts falling to Earth in the Soyuz.